After I became a mom, my number one priority when it came to clothing was comfort. I want pieces in my wardrobe to be versatile and comfortable without sacrificing style. Boston base knitwear brand Nic+Zoe offers distinctive colors and patterns, feminine textures and soft neutrals that are perfect for busy moms who value modern interpretations of timeless classics. 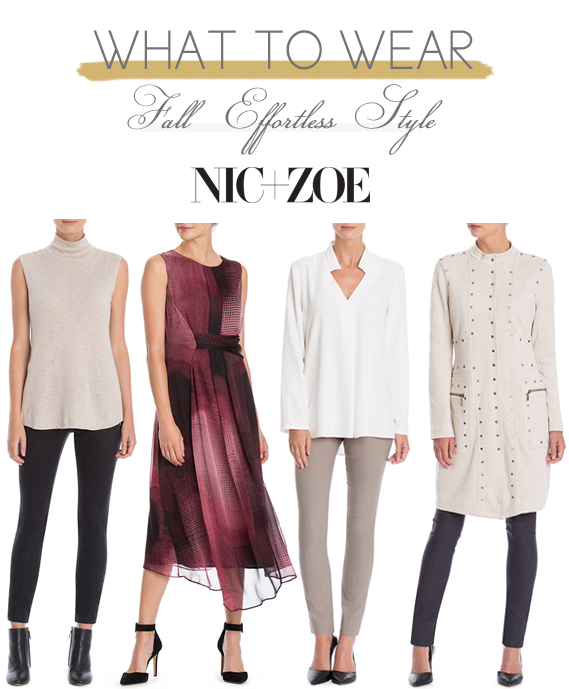 Featuring beautiful designs, fine materials and expert craftsmanship, the Nic+Zoe line bring effortless style and comfort to every women's closet. That dress is gorgeous. Perfect for a fall wedding. Does the jacket come in another color? It does! It also comes in "Japanese Violet"